Bad Influence | PX This. Well, do you remember the ostentation and decadence of the 90’s? Do you remember when nightclubs used to be cool? Do you remember when parties were glamorous and fun? Do you remember how you once had a huge crush on Rob Lowe? Do you remember James Spader? Great film. An all-time fave. 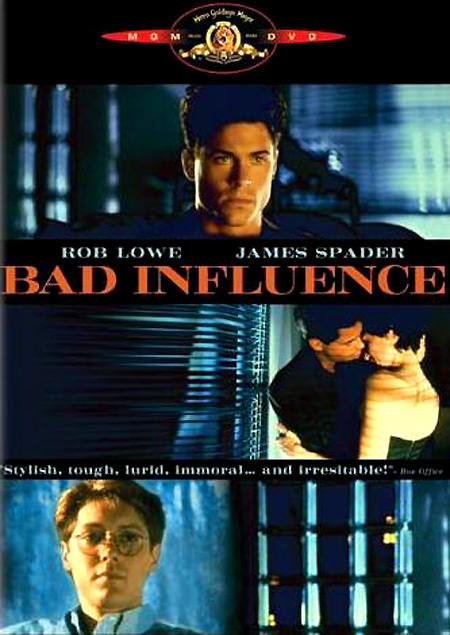 The best part is how Rob Lowe’s character saves Spader’s from his impending wedding by bringing the video he taped to the woman’s parents’ dinner party.